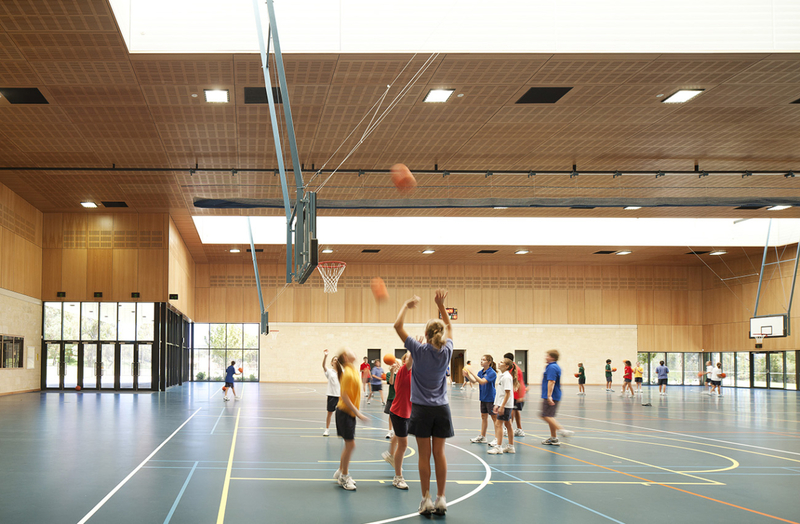 Located on the east side of the campus, the new Gymnasium at All Saints’ College in Bull Creek, Western Australia, forms the heart of the sports precinct. 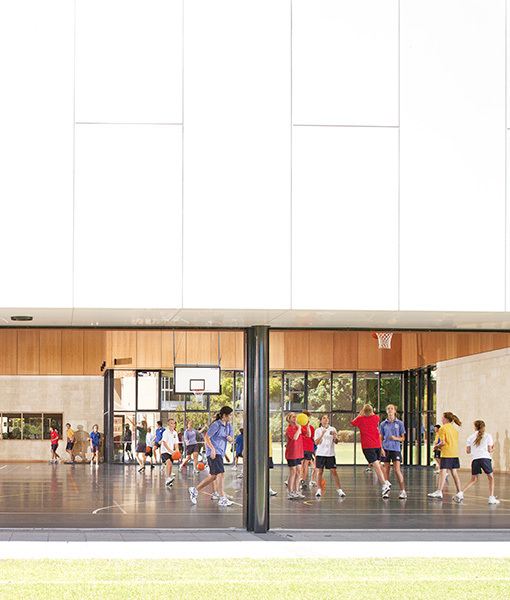 It overlooks the ovals and adjacent hard courts and comprises two full sized indoor courts complemented with change rooms, learning areas, weights and store rooms. 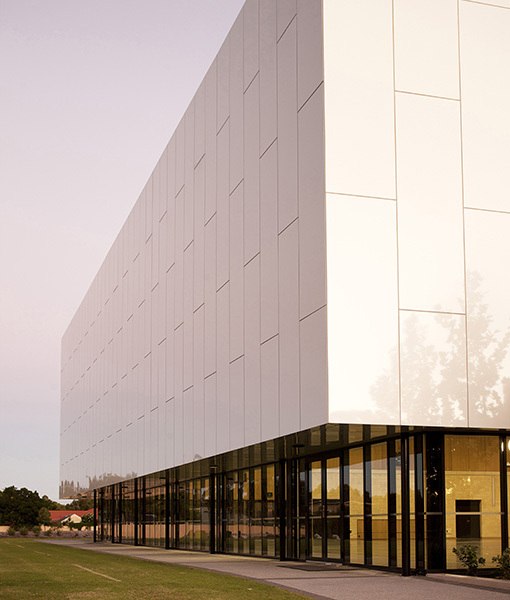 The new building is clad in pre-finished aluminium composite material and provides a low maintenance, durable and sustainable external fabric. 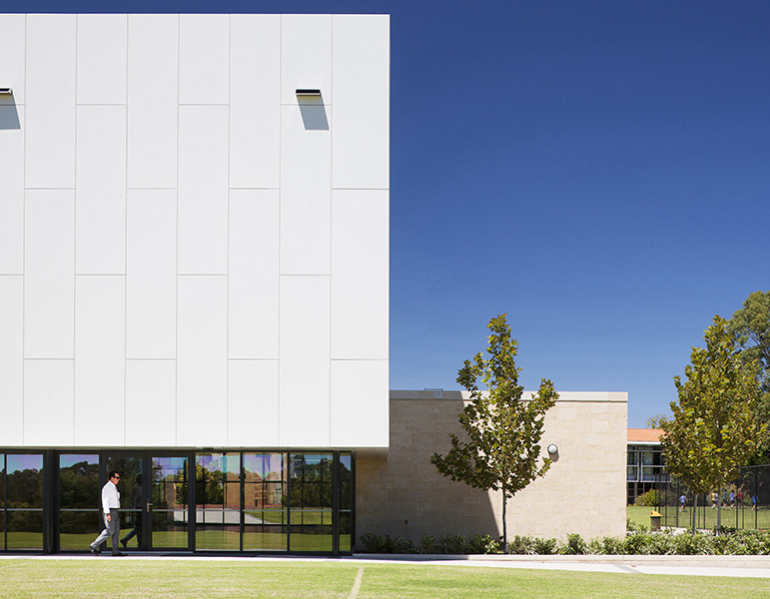 The lower areas have natural limestone walls which provide a robust yet warm and natural quality at pedestrian level. 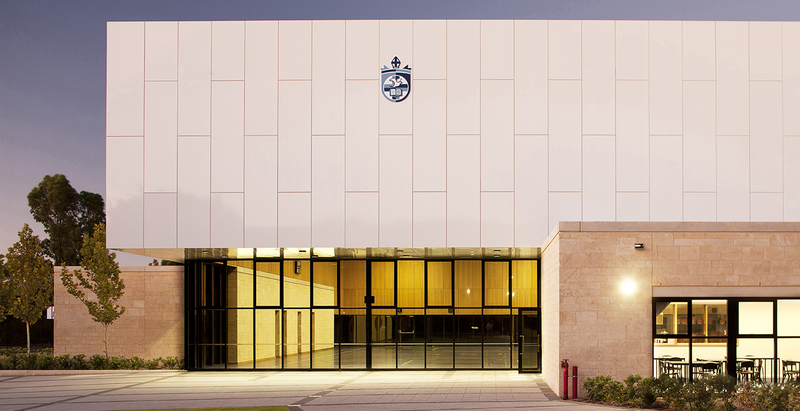 Internally, the gymnasium walls are also limestone at the lower level with acoustic timber veneered panels at the upper levels. The recycled rubber playing surface is formed in-situ and creates a colourful, level and highly durable finish. 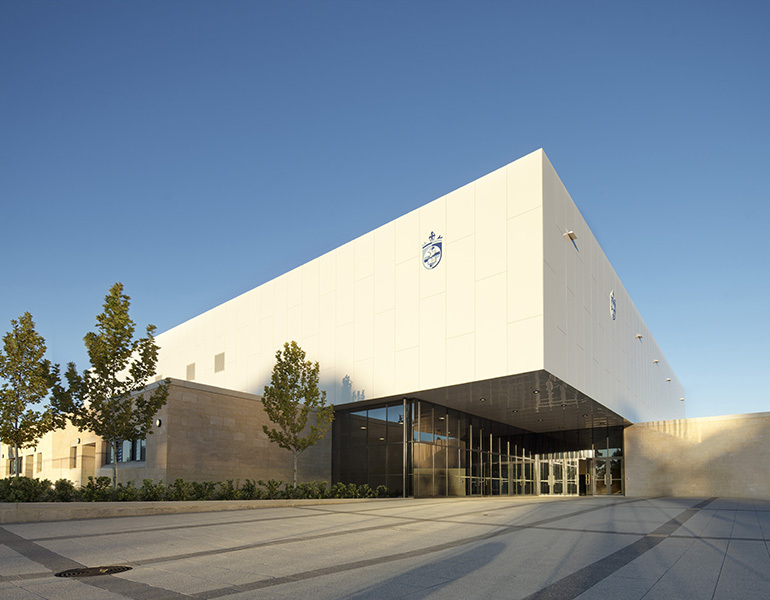 The building is designed to accommodate sports and health learning as well as all-of-school assemblies in a naturally lit and naturally ventilated space that opens up to the adjacent sporting ovals.